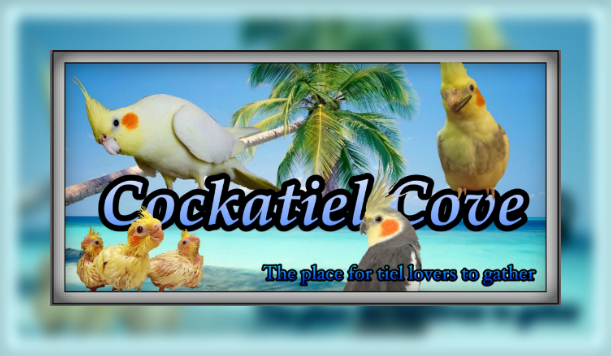 Here at Cockatiel Cove we are a friendly community. By following these guidelines, we can continue to make sure it stays that way. We respect your privacy. Any personal information such as IP address, email, password, ect. will not be given out. But keep in mind that it is stored for security reasons. Be sure to protect yourself. Never give out your password, or any personal information such as address, phone number, unless its for business use. Beware that non-members have access to view posts. If you feel the need to share anything, please do it in a private message. Our forum has people from all around the world, of different religions, belief, and ethnicity. There may be heated-topics, but keep in mind that everyone has different opinions. We ask to also keep topics light-hearted and controversial. When posting be aware that people don't see your real emotions, and that all caps or excessive punctuation can come across differently than you planned. Please keep harsh language to yourself, and no captions. What you say can hurt others. It may be fun to criticize someone, but please refrain from doing so. Avoid offensive topics. Defamatory comments are not allowed and WILL be removed. If you come across such a comment, please report to one of the staff. Any sort of member like this is not welcome here at Cockatiel Cove. Any spamming, trolling, or flaming member will be banned permanently. If you come across such a member, please report to the staff. SPAMMING a forum can mean posting the same message repeatedly in several different areas of a forum or simply making useless and unwanted posts. Usually spam takes the form of ads, nonsense chatter, or messages with obscene content. You may notice spam within various forums, or in your private message inbox. FLAMING, also called “bashing”, is engaging in an online argument, usually by making hostile and insulting comments towards someone. TROLLING is when someone tries to provoke negative reactions from others by making controversial or troublesome posts. If you suspect someone is trolling, it is best to not respond, hence the expression “do not feed the trolls”. We know it's nice to share good pieces of information, but please respect the copyright law. It's a serious offense. Posting anything that doesn't belong to you is a violation of this. Any material that is suspected of breaking this rule, will be removed until the poster proves that they have permission. We want to encourage members to keep their cockatiels and other birds safe. Posting any material of birds in un-safe conditions (near predators such as dogs, cats. Birds un-protected outside) is not allowed and will be removed. If you continue to break this rule, the result will be a temporary or permanent ban. There are young members on this forum. Posting any violent or inappropriate content is strictly forbidden and will result in a immediate ban. We know that there are other cockatiel forums out there. We ask you to not engage in such activity. Members have their own right to join whatever forum they choose, just no recruiting. 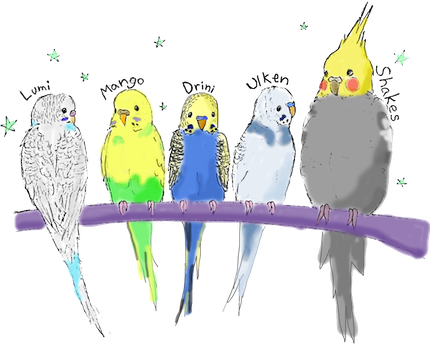 Our Chit-Chat has been created as a place where members can relax and discuss things other than their birds. Because we have visitors to our site from all over the world and from a variety of age groups, backgrounds, and ethnicities, we ask that this forum be kept to non-controversial, lighthearted subjects. Topics such as religion, politics and personal problems should be brought up elsewhere and discussed privately. We work very hard at keeping Cockatiel Cove safe and friendly for everyone. In keeping with the aims of our website, sometimes staff will need to close or hide threads, mediate disputes, issue warnings or formal infractions through the system, contact members via private message or post moderator warnings within threads to keep the forum running smoothly. Staff members will use their discretion in determining the course of action that is appropriate when forum guidelines are being disregarded. Every attempt is made to be fair and consistent when handling member issues however each situation is assessed on an individual basis as there are a variety of factors that come into play. Continued problems with a member may result in a temporary or permanent ban. The administration reserves the right to search any member's profile information, posting history, private messages, chat logs or any other forum-based information should they deem it appropriate. Thanks for reading this, and the staff ask that you follow them.